Toyota Avalon blends impressive style and luxury with legendary Toyota quality. Sharp styling lines help give the Avalon a distinctive profile. Designed with comfort in mind, step inside the Avalon to experience the refinement. Leather seating surfaces in the spacious interior combined with plenty of trunk space makes Avalon a great choice. With a variety of trim levels available, there is sure to be an Avalon to fit your budget and lifestyle. 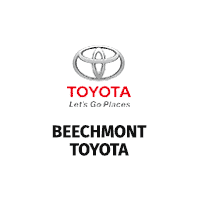 Certified Pre-Owned Toyota vehicles offer the security of a 12-month/12,000-mile Limited Comprehensive Warranty and a 7-year/100,000-mile Limited Powertrain Warranty following a rigorous 160 point inspection*. Buy your used Avalon with confidence knowing that you are backed by Toyota.